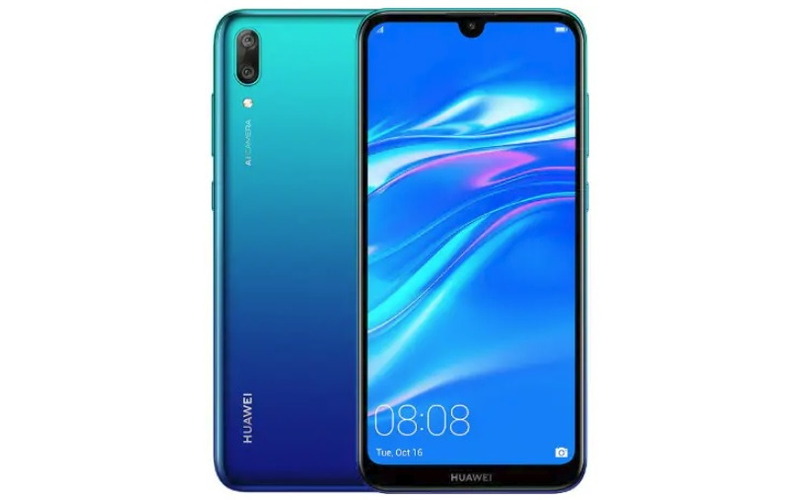 Huawei has launched a new mid-range smartphone in Vietnam called the Huawei Y7 Pro (2019). The Huawei Y7 Pro (2019) as its main key highlights, comes with waterdrop Notch, Dual rear camera setup and 4,000mAh battery. The Huawei Y7 Pro looks almost similar to the recently launched Huawei P Smart smartphone that features a similar design with dual rear camera setup. The only difference you would find between two devices is the fingerprint sensor. The Huawei P Smart features a rear-mounted fingerprint reader at the back. But the Huawei Y7 Pro (2019) on the other hand doesn’t come with the dedicated fingerprint sensor. Instead, the devices come with Face unlock feature as an alternate option to unlock your device. The phone comes with dual (Nano) SIM card support and it runs on EMUI 8.2 based on Android Oreo out of the box. The phone features a 6.26-inch full-HD+ (720×1520 pixels) display with 19.5:9 aspect ratio. It is powered by the Qualcomm Snapdragon 450 SoC coupled with an Adreno 506 GPU and 3GB RAM. There is 32GB onboard internal storage which can also be expanded (up to 512GB). In the camera department, the Huawei Y7 Pro (2019) sports dual rear cameras, including a 13-megapixel rear sensor with f/1.8 aperture and LED flash support, there is a secondary 2-megapixel sensor with f/2.4 aperture. At the front, the smartphone sports a 16-megapixel sensor. The Huawei Y7 Pro (2019) packs a 4,000mAh battery, and connectivity options include 4G VoLTE, Wi-Fi 802.11 b/g/n, Bluetooth 4.2, GPS, and more. The Huawei Y7 Pro (2019) price is set at VND 39,90,000 in Vietnam (roughly Rs. 11,900 INR). The smartphone is available in Aurora Blue and Black colour options. The smartphone is already on sale, and users who purchase before January 6 will get Bluetooth speakers for free.